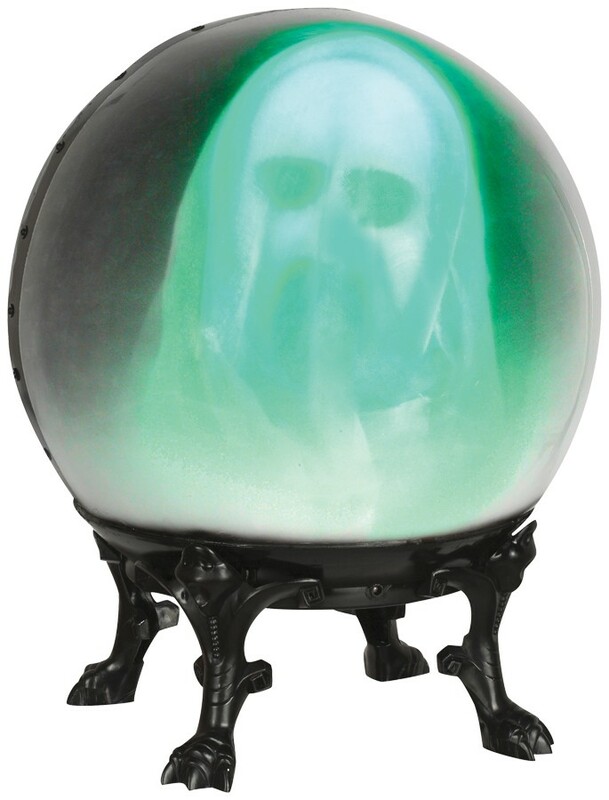 This haunted crystal ball features a spooky ghost that lights up and appears to float inside the globe as it makes scary haunting sounds. 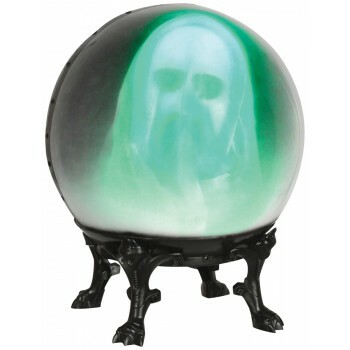 It is sound activated and battery operated with 4 AA batteries that are included in the item. Size is 21" x 15" x 15".